value in USD = exchange rate x amount of Ethereum. The reason to use our Ethereum calculator is because you gain access to the most up-to-date data to make this calculation. Whether you want to know the value in dollars or reverse the process and find out how many coins you can get for your buck, the information is there and updated in real-time. This allows you to keep control of your investment, as you can use the Ethereum calculator at whatever point and know the numbers. Using the Ethereum calculator is a certain way of being the most up-to-date with your cryptocurrency values. With the ups and downs of all financial markets, it is crucial to be fully informed at all times. An Ethereum converter is likely to be an exchange site. This is a website where you can buy, sell, and store your currency. Ethereum, like Bitcoin, can be exchanged directly for fiat currencies such as dollars. This means using an Ethereum converter is simpler than most other altcoins. However, it is also likely that the verification and validation process to use the exchanges may be more vigorous. There are sites you can go where you can trade anonymously but most will want you to prove your identity. The easiest means of storing your Ether, once purchased using an Ethereum converter, is in a digital wallet. This is likely to be MyEtherWallet. You can then use your Ether to convert to other altcoins, the same way you can with Bitcoin. This is because these coins are considered more established and mainstream and therefore held on exchanges that allow conversion from fiat currencies. Our Ethereum calculator works to calculate the amount of fiat currency against Ethereum. The conversion from Ethereum to an altcoin may make the value of your Ether more or less. It is possible to use an API Ethereum converter, which connects to exchanges and offers you a direct conversion of Ether into cash. However, this still means you are engaging the services from an exchange site, so it is worth understanding what this means. 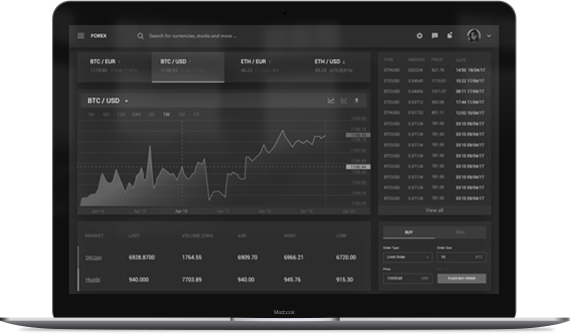 A cryptocurrency exchange is a website where you can buy, sell and store Ethereum and other cryptocurrencies. There have been some success stories and bad news stories that have come out of the world of exchanges – so it is worth learning the lessons of where to trust your investment. A lot of sites have now become more vigorous in the security of the sites – with cold storage employed to keep most of the sites worth offline. This means it is almost impossible for hackers or other criminals to find a way to your funds. This means there may be issues with liquidity – in other words – enough online funds to process large transactions. Most sites only have about 5% liquidity. However, when you consider that the number of Ether in existence run into the multi-millions – it means there is never likely to be an issue. You should also investigate if the exchange opens itself to regulation. Most American sites expect to be overseen by state-level financial regulatory bodies. It is worth looking to check to see if this is promoted on the site or not. Remember this is a financial institution like any other and you need to trust that there is a reputable organisation behind the site that is handling your investment. The good thing about an Ethereum converter is that you can use it to cash out your other altcoins – this makes this coin a much more reputable investment as a commodity – even though it is largely meant as a means of creating a smart contract. Oddly, for those of you born into the digital world, it is also possible to meet face to face with the buyer or seller of Ethereum. This is because the digital code can be written on a piece of paper – known as a paper wallet – and handed over for a cash. This is of course the ultimate way to avoid being hacked – if you are super-suspicious of the security of blockchain or the wider internet. Using our Ethereum calculator should help you in your decision of when to buy and when to sell. It will keep you in touch with the latest trends in price and value. Understanding the trends of cryptocurrency is crucial when trading in Ethereum. Therefore, it is a good idea to research and show interest in the digital currency ecosystem. The value of Ethereum is slightly different to Bitcoin, which is a peer-to-peer transaction mechanism. Ethereum is a means of entering into smart contracts – or agreements with others that are binding. This means that the price of Ether is likely to go up and down for other reasons than the number of Ether being bought and sold. This means using the Ethereum calculator before using an Ethereum converter keeps you in the loop for making the most out of your investment. Ultimately, the value of Ethereum may never reach the heights of Bitcoin – the original cryptocurrency. However, like Bitcoin, it is likely to be the million-dollar question about when to buy and sell. Although the Ether is a means of transacting on the Ethereum network, it is also traded in a similar way as a commodity. If someone dumps a lot of Ether in one go then the laws of supply and demand will drive the price down. This makes answering questions about when to use an Ethereum converter difficult and down to the individual’s judgement.